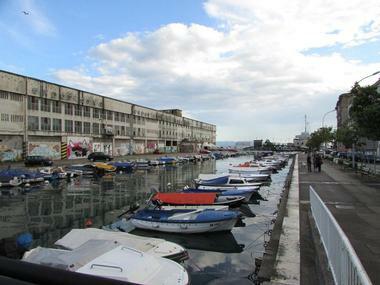 Rijeka is Croatia's premier seaport and its third largest city after Zagreb and Split. 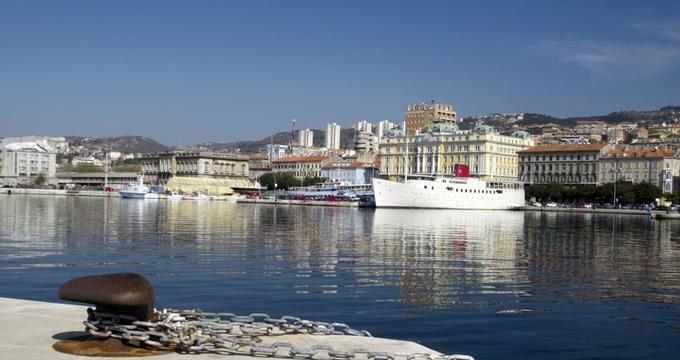 To visit Rijeka, head towards the Adriatic Sea and Kvarner Bay, where this beautiful city with its population of a little over 100,000 residents is located. 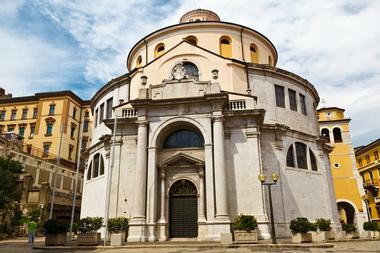 Rijeka’s significance lies not only in its beauty, but also in its cultural and historical importance. 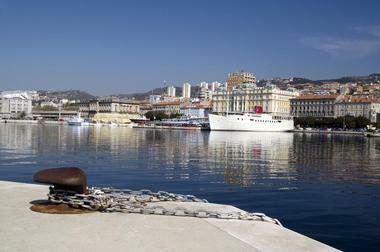 It has been designated the European Capital of Culture 2020 and it was once an important strategic seaport. If you want to know more about this fascinating city, here are some of the places you should visit. 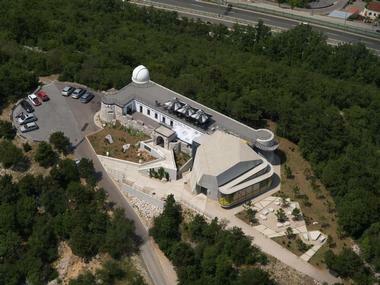 The Astronomical Center Rijeka is a unique observatory and planetarium, not only for Croatia but also for the entire region. This center has a rich history as the military used it during War World II and it represents the oldest archeological site in the region. The Astronomical Center is located on Holly Cross Hill and is protected as a cultural landmark not only because of its historical significance, but also because of its beauty. 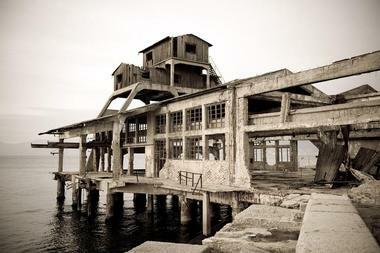 It is the one place in Rijeka, and in the entire region, where the sky ceases to be the limit. An artistic statement and magnificent tribute to Petar Kruzic, who was a respected warlord at the time, this stairway monument was built almost 500 hundred years ago. Captain Petar Kruzic was honored by the construction of this stairway, which starts at the very beginning of the grand stairs with an arch that depicts Madonna and the Child. When the stairway was originally built in 1531, there were less stairs, but steps have been added over the centuries, creating the Petar Kruzic Stairway as we know it today. The monument now has 500 steps, beckoning you to walk on them and honor art and architecture. Besides being a beautiful church built in the neo-Gothic style and located right on Zabica Square, the Capuchin Church has an interesting story of origin. Its construction started a bit over 100 years ago, in 1904, however the church wasn’t completed as the Capuchins were broke and had no money to finish it. Once a part of the robust construction of the old city, the City Tower is now a well-known and familiar symbol of Rijeka. It also represents an example of the ideal access point. The tower was originally built in the Middle Ages, but it was modified during the Baroque period, as you can see from the ornaments characteristic for this period’s architecture and art. Up until World War I, there was a statue of a two-headed eagle set on the top of the tower, but Austrian soldiers removed it to make a statement. The City Tower still stands as a testament to the many changes throughout the ages. This distinctive theater, named after Ivan Zajc in 1931, gained the prominent status of a National Theater 25 years ago. Its distinctiveness lies in its repertoire as well as in its large appearance. 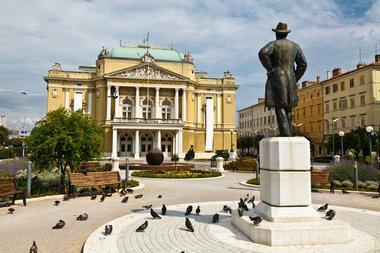 The Croatian National Theatre has a unique collection that includes opera and ballet performances, so you can experience European artistic heritage when visiting. There are also interpretations of old plays transcribed to follow the latest trends, so whatever your taste in theatre, there will be something to amuse you. If you are visiting during the summer, you will be able to witness the delightful “Rijeka Summer Nights” hosted at the theater. Located on a high hill at 365 meters, Kastav is a fortified old medieval town that once had nine watchtowers, making it a perfectly placed strategic town at the time. Today, Kastav is a merging spot of culture and delights, attracting musicians, artists, winemakers, and hedonists as well as visitors with a burning hunger for art and enjoyment. The best time to visit Kastav is during the summer as this is when numerous festivals are held, gathering artists, musicians, and visitors and promoting art, culture, and a splendid time. 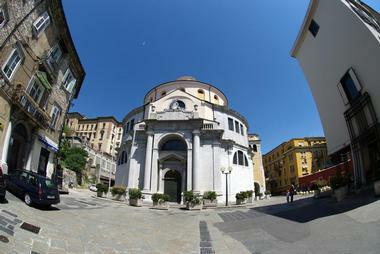 If you are looking for a place in Rijeka that perfectly describes this amazing city, consider Korzo. 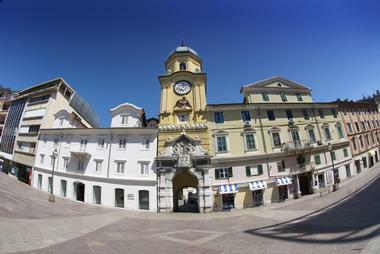 Korzo is equally adored by the residents of Rijeka as well as by visitors. It is a promenade where you can take a walk and have fun. Sit in one of the beautiful rooms in the authentic bars and have a cup of coffee or tea, or just sit on a bench, relax, and observe Korzo pulsing throughout the morning, afternoon, or night – it’s alive and busy during the entire day, accurately depicting the picturesque appearance of Rijeka. Take a walk across Korzo to better understand this city. 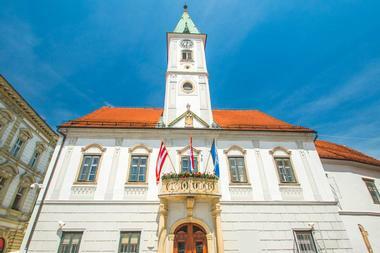 The Maritime and History Museum of the Croatian Littoral not only has a marvelously captivating appearance as a building, it also holds and hosts numerous exciting exhibitions from natural and social history. The museum was built in 1875, and ever since it has not failed to meet the expectations of visitors – the museum has also been the epicenter of cultural gatherings. From prehistoric to modern history, there are exhibits from which you can learn a lot, and the museum also hosts interesting projects, such as the Miracle Room – one of the museum’s workshops that should help us determine whether the next year will be successful. 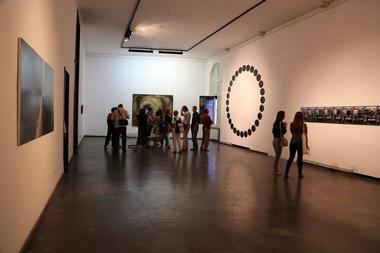 The Museum of Modern and Contemporary Art has a rather noble cause: to present young and old artists to the world and try to change how people observe art and artistic statements. The museum hosts local and national as well as some international artists, presenting art in its most noble form equally and with dedication. The museum displays works that depict the new age of art but doesn’t forget tradition, as art is timeless and ready to both change and be changed in its flexibility. You can wander around and just observe the art, think through it, rethink it, and enjoy it. 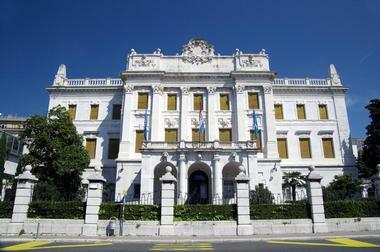 If you want to get to know the natural history of Rijeka, then the Natural History Museum is the place to visit. 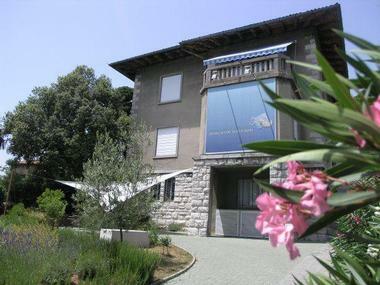 This museum collects, preserves, and exhibits natural history specimens collected in Istria, Gorski Kotar, and Kvarner Bay. If you want to pay a visit to the museum, you can request and schedule a visit where you are guided by one of the five experts, one of whom is a prominent geologist with four biologists on the team. There are over 90,000 different specimens you can learn about, including rare and endangered species. 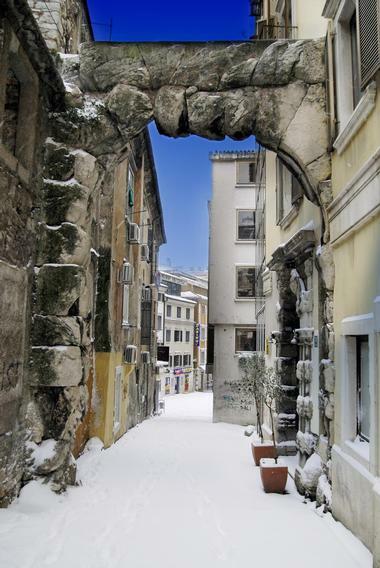 Once considered a Triumphal Roman gate, the Roman Arch, as was later discovered, represents the old entrance to an ancient Roman town that was once sited in the vicinity of Rijeka. The Roman Arch, as it was later called, was a gateway to a well-established fortress city protected with walls that represented the main headquarters of the Alpine enclosure, a defense system of the Roman empire. Not all parts of the portal are preserved as some sections have been destroyed by the merciless effects of time. Still, part of the gate still stands as a testimony to the existence of the old Roman town. Once you pass the City Tower and walk through the old medieval gate and across the old medieval wall that once represented the limits of the town, you enter the Old Town of Rijeka. The Old Town is now one of the loveliest and most interesting places in Rijeka that all tourists are bound to visit. The Old Town contains the central marketplace, so there are lots of picturesque and vintage stores you can visit and browse through. Although the old houses with markets that once stood on the shore barely exist, there are similar modern versions you can visit. 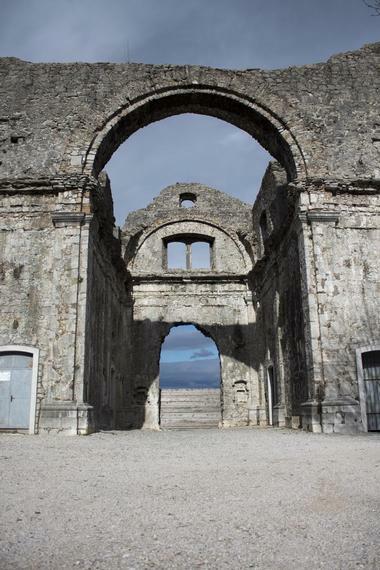 The Sanctuary of Our Lady of Trsat is the oldest sanctuary in Croatia and as such is a constant target for visitors. The visitors, however, don’t come merely for the sake of admiring the glorious architecture and the historical significance of the sanctuary, most of them come to pray and witness the glory of Our Lady of Trsat. With the gardens of Saint Mary, treasury, monastery, and chapel, this sanctuary is the most important center of religion in Rijeka, so as well as the frequent pilgrims and tourists, locals are also fond of coming here to worship. Unlike many places in Rijeka that date back more than a few centuries, Peek and Poke is a little wonder of modern times. Peek and Poke is a museum for computers and old devices as well as a club you can visit. Anyone can donate their old equipment and contribute to making the exhibition richer by another device. Besides wandering around the museum, you can also buy souvenirs to remind you of this unique place set in the middle of Rijeka. If you are particularly computer savvy, Peek and Poke will be your paradise! If you are anywhere near the university library, you shouldn’t miss out on visiting the exhibition of the Glagolitic alphabet. 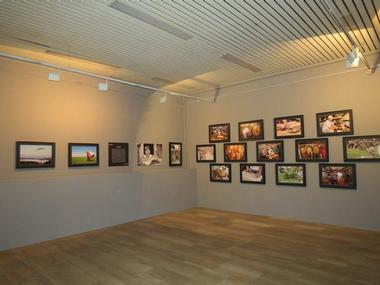 This exhibition is permanent, so you can always come and check it out. 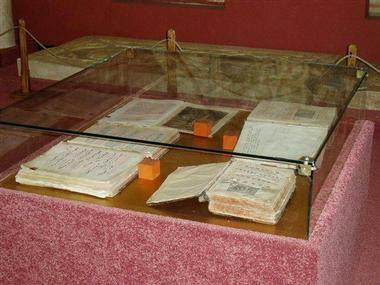 The exhibition contains 27 items, all of which showcase the importance of the Glagolitic alphabet, which was created by two brothers who were both teachers – Cyril, also known as Constantine, and Methodius. They were later proclaimed saints. The origin of the Glagolitic alphabet goes back to the 9th century, and the exhibition aims to explain its cultural, social, and historical importance. At the Governor’s Palace Park stands Rijeka’s very own city museum – yes, there are national, maritime, and natural history museums, but a town’s history can best be discovered by visiting its city museum. 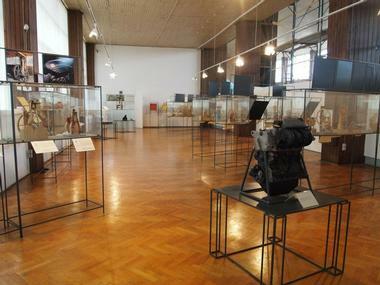 The Rijeka City Museum is involved in restoring, collecting, and exhibiting different material found in Rijeka and aims to show what Rijeka has gone through over the years and how it has changed. Among the exhibition pieces, you can see different instruments, art from local artists who used to live and create in Rijeka, as well as old documents that bear witness to the history of this town. 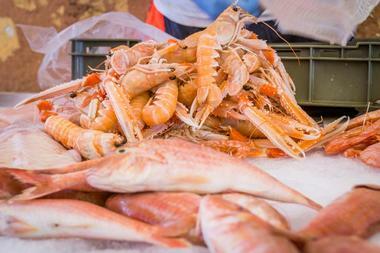 If you would like to change your everyday routine and forget about supermarkets for a day, the Rijeka Fish Market is the right place for you. 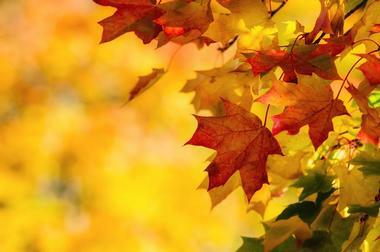 This attractive market will come as real refreshment. Buying here or just visiting can be very exciting, especially if you are a first-time visitor, because this little place also has a history. The Main Market used to be a popular place where people had their lunch while fisherman unloaded their catch until it was turned into a fish market – colorful, exciting, and welcoming. This is a unique experience and a definite must-see. 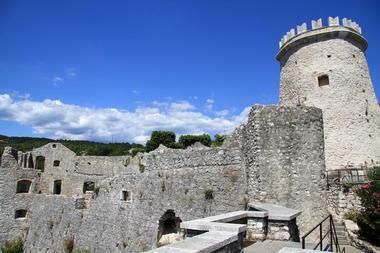 Rijeka Trips Tour offers the unique experience of sightseeing and exploring this beautiful city as you may plan your adventure through Rijeka or have their professional staff lead you on your Rijeka adventure. Among classic tours of historic landmarks, there are more exciting and fun activities, such as hiking and sailing, which will surely come as a welcome to all natural adventurers. 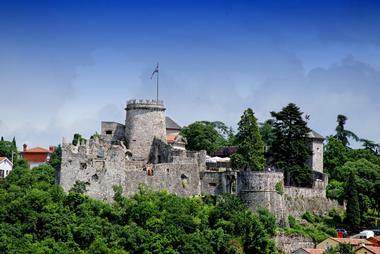 If you like tales and stories, then you will love a program called “Legends and Myths of Istria”. With Rijeka Trips Tour, you will also be able to discover the best local places for dining and finding new tastes. The construction of St. Vitus Cathedral began in 1638, making it the first and only Baroque cathedral in Croatia. It was designed by G. Briano, a Jesuit architect who took his inspiration from one of the most famous temples in the world: the Santa Maria Della Salute in Venice. From the ceiling to the altar and the works on the walls, including the paintings and mosaics, everything inside this cathedral is magnificent and breathtaking. Some of the most prominent artists of the 17th century came to St. Vitus Cathedral, making it one of the most beautiful cathedrals in Croatia. Completed in 1893, the Governor's Palace was built by Alajos Hauszmann, one of the best architects of his time. Alajos was hired by the governor in whose glory the castle was supposed to be made. The governor was sent by Hungary to rule Rijeka following a deal that was a bit of a misfortunate for the people of Rijeka, given that they were under the hegemony of Budapest. The Hungarians left after a while, but the Governor’s Palace remained, with its magnificent gardens and a breathtaking view that you can experience when you visit. The palace hosts the Croatian Littoral Museum, so you can visit the palace after sightseeing during working hours. 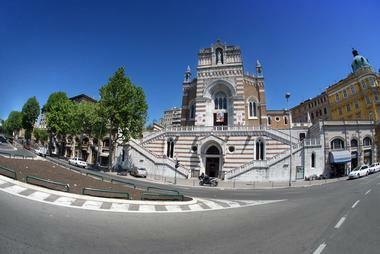 In 1885 the Modello Palace was constructed within the project of building the National Theatre. The palace was created and planned by two famous architects, Fellner and Helmer, who came from Austria with the intention of designing what would become one of the most beautiful buildings in Rijeka. 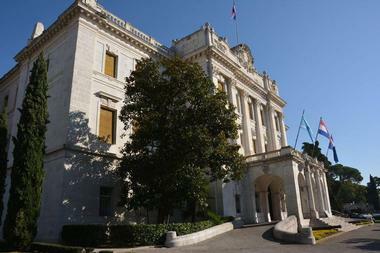 Modello Palace is highly and richly decorated both inside and out, and it was originally meant to house a bank. 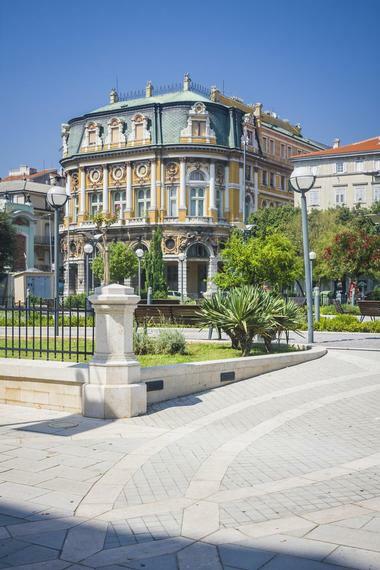 Although all its glory and beauty is still preserved and well respected, Modello Palace is now the city library as well the place where residents of Rijeka belonging to the Italian community hold their meetings. It would be a waste of your trip – not a complete waste, but still – if you were to miss out on taking a stroll across Molo Longo. Molo Longo is a part of the seashore dating back to a time when the Austro-Hungarians were in charge. Today, this is a favorite place in Rijeka for taking long, peaceful, and quiet walks after a long day. Molo Longo is beautiful and welcoming during any season, although it can sometimes be a bit cold and the waves can be particularly splashy and stubborn due to tides. Still, a warm sweater and a long walk will surely solve this “problem”. Torpedoes was invented in Rijeka. Not many people are aware of this fact and although inventing weapons is not something to be particularly proud of, Ivan Lupiss, the original inventor, had a justified motive for his invention. He was planning a weapon that would have the ability to defend the coastline of Rijeka over longer ranges so that his city would be safe. With the help of Robert Whitehead, he designed the first prototype of what is now called a “torpedo”. The torpedo factory went bankrupt 26 years ago, but the building is being restored as an industrial monument open to all visitors. If you have ever observed the harbor in Rijeka, you will have seen one of the most famous and well-known symbols of Rijeka: Trsat Castle, standing proudly on the top of the hill amidst some magnificent views. 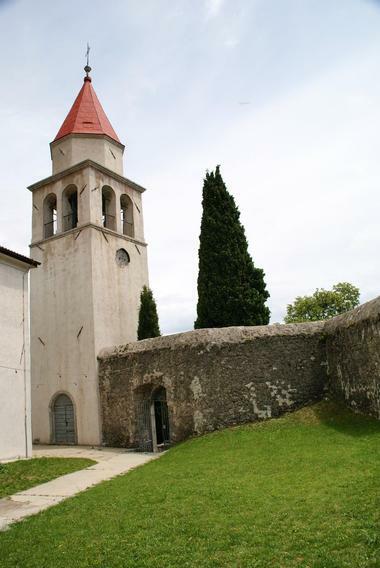 Part of the castle is a small church that can be easily seen from a distance and which is also home to a monastery and occasionally holds concerts. The top of the castle can be reached by taking the Stairway of Petar Kruzic, which represents the original path that pilgrims climbed on their knees as a token of their unquestionable devotion. Dominated by the Church of St. Mark as one of its most recognizable symbols, Veprinac lies on the top of the hill, rising 500 meters above sea level. Veprinac is an old town dating back to medieval times, but it is still well preserved and frequently visited by both locals and tourists. Veprinac can be reached only by taking a hiking path, so you can enjoy some recreational activities while you make your way towards this important landmark of Rijeka. This medieval town was also made famous by the Veprinac Act, which is now on display at the Academy of Arts and Science.